I love drumming. Being able to engage in this craft with another person is an opportunity I will always take. Especially when it comes to helping others people learn how to drum. I am excited to have the opportunity to help you along the way in becoming a more confident drummer who finds satisfaction in playing. Some days may be easier, some days may be harder, but after the work is done you will be glad that you stuck with it and learned that next groove. Contact me here for Drum Coaching. I coach drums in 30 minute or 60 minute weekly sessions. With this first lesson, we will learn where you are at and where you want to be as a drummer. At this first meeting, we will also identify the goals and course of study for the semester. Although I cater my coaching to the needs of each individual student, the driving philosophy behind my coaching is Time & Taste. Sign-ups for coaching are on a semester or week to week basis. Investing in a semester sign-up allows us to focus on long-term development and also provides an end of semester performance which showcases what you have learned with an opportunity to show your friends and family your newly acquired skills. Investing in the week to week sign-ups allows you and I to focus on specific areas of needs. This is the best option for when you have short-term goals in mind. Click here for Investment and scheduling details. My experience and training include Full Symphonic Orchestras, Concert Bands, Jazz Bands, Theater Bands, Marching Bands, and Drum Lines. This includes experience at the Elementary School, Middle School/Jr. High, High School, and Higher Education level. As a Drum Tech, I come in to assist you, as the Band Director, in helping improve the overall musicianship of the percussion section. I am also available to provide drum head replacement, equipment maintenance, and repairs on you percussion equipment. Click here to contact me with your music program needs. With over 20 years experience playing in different venues I help drummers, musicians, and band leaders help understand what it takes to play with Time & Taste. Time & Taste is not a secret method. It is years of wisdom organized in an understandable way. Because I love to teach I would love to help you and your team better understand the role of the drummer in your local context. I can do this through leading a workshop. Contact me for Investment pricing and your workshop needs. I have worked with John for about a year or more now, serving in the music ministry at church as well as being in a band together. He is extremely talented, making the difficult look easy and the tough stuff look like a piece of cake! He’s very knowledgeable and has great instincts. He’s helped take my music to a level I never imagined it could be. I would highly recommend John to everyone. –Allison S.
John is one of the most talented drummers I have ever played music with. He knows his stuff! Everytime John has played drums for our worship team at church, he has made the rest of the musicians on the team feel blessed and amazed at the same time. He really adds a solid foundation – for the rest of the team to build on – through his drum playing. 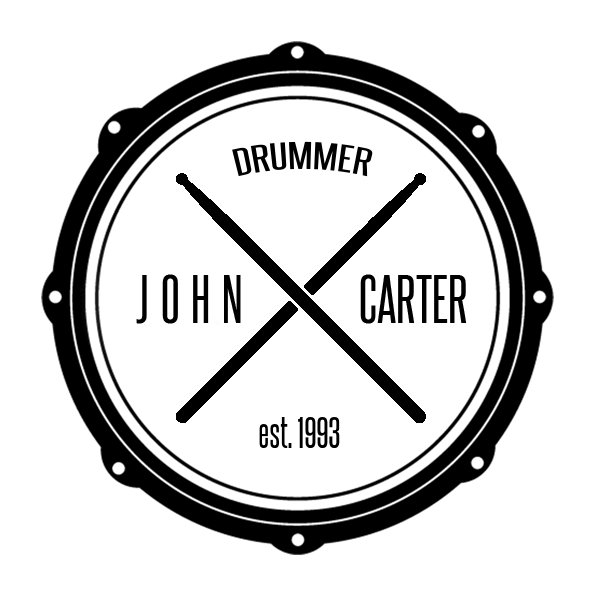 I would highly recommend John Carter to teach you anything you need to know about playing the drums. Thanks Clint! It is an honor to play with you. I look forward to the next time (whenever that may be)!